If you enjoy Italian seasonings and the rich, crisp taste and crunch of our Nuggets, you'll love our Italian Herb Nuggets! Use when cooking sauces, pastas, stews, soups and more. This is a savory, proprietary blend from our founder, Rinaldo Brutoco. 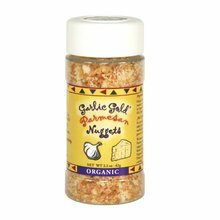 If you enjoy Italian seasonings and the rich, crisp taste and crunch of our Nuggets, you'll love our Italian Herb Nuggets! Use when cooking sauces, pastas, stews, soups and more. This is a savory, proprietary blend from our founder, Rinaldo Brutoco. 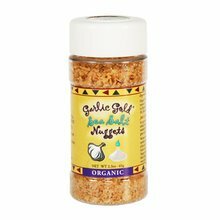 Our Italian Herb Nuggets make a great sodium free alternative to flavor your meals. 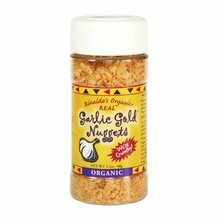 1.6 ounces Ingredients: Organic garlic, chopped and toasted to crunchy perfection in organic extra-virgin olive oil, blended with a proprietary blend of organic Italian seasonings. Save 20% if you buy a case of six!